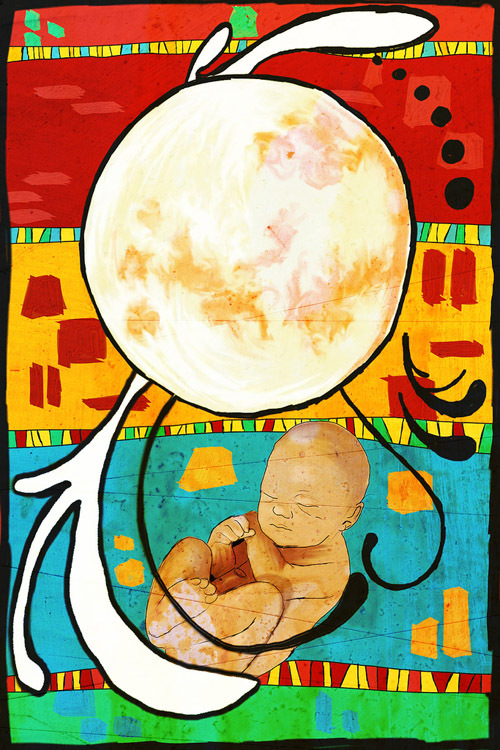 Moonchild is one of the first Digital Paintings that I’ve made. The concept is somewhat complex and extensive. The idea is basically revolving around the Eastern ideas of Harmony, Yin and Yang, opposites and compliments, and everything that is around us. Moreover, it also touches the subject of Astrology, and the influence that according to the Chinese Lunar Calendar, and Horoscopes, the moon holds over our characters. The Yin and Yang idea that everything has an opposite that completes the nature of the object. Just like every day has a night, every light spot has a dark one, in good there’s evil, for a man there’s a woman. There is harmony, balance… without it, the world cannot function. You can find this painting and other stuff in my Online Store. 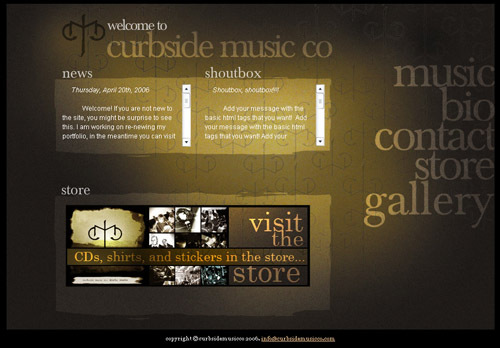 On June 2006, I got to work on the website of the group CurbsideMusic Co and their official website, which was a great experience because I got to listen to new music and see neat pictures of them while working on this project. They wanted to have a website, in which they could post news, pictures, show their music and videos, as well as sell some of their products. After a while, looking at their design, I started building, making basic design decisions that allowed me to build a website with the knowledge I had gotten these past months. 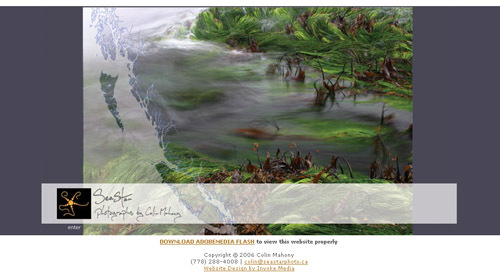 On June 2006, I got to work on the website for Canadian photographer Colin Mahony, which was a great experience because I got the chance to work with beautiful photography. Invoke Media wanted to have a website, in which Colin Mahony could post news, pictures, contact information, newest shows, as well as sell some of his products. I started building, making basic design decisions that allowed me to build a website with the knowledge I had gotten these past months.